Last year, I was invited by Bestway Tours & Safaris to develop and lead an educational tour to India (departing February 2018), a country I have spent much time visiting, studying and lecturing about. Bestway asked how to showcase this country in a way that is accessible, attractive and informative. In developing this arts and culture heritage journey, I focused on presenting Indian artistic traditions, living artists and locations rarely included in itineraries in a way that would educate and engage travellers. This post considers the ways in which we can share archaeology, cultural heritage and our research with the public. In following the theme of artistic heritage, a focus was on highlighting the surprising continuity of traditions. The places the tour will visit have been occupied continuously over millennia, and many of the artisan traditions still rely on production methods and technologies from centuries ago, usually passed down through families. India is so vast and complex that some travellers say it feels like visiting several countries. To maximize the learning experience and depth of exposure, it was decided that the tour would focus on one region. The itinerary centres around Tamilnadu, South India, a state which encompasses some of the greatest historic and cultural monuments of India. Developing a focus on lesser known South Indian (Dravidian) artistic heritage. 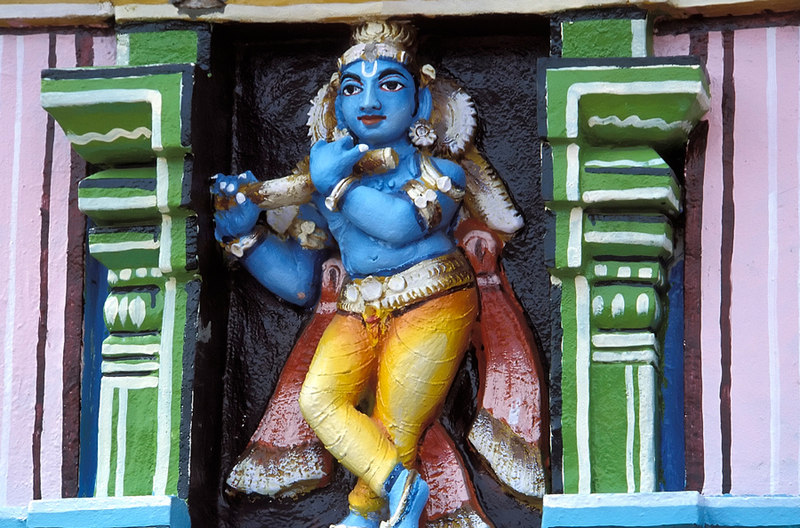 The tour is focused on the lesser known South Indian (Dravidian) artistic and cultural heritage. Each stop has been selected to contribute to a deep and personal understanding of Indian art, and how it has influenced religion, spirituality and commerce. I looked to both the early monuments of India that date back to the 7th century, providing evidence of some of the great kingdoms that dominated this part of the country, as well as monuments that show the influences of colonies in the region, such as Great Britain, France and Denmark. Some of the early temple sites are considered archaeological remains and are maintained and supervised by the Archaeological Survey of India. Others, even of a similar age, are fully functioning places of worship featuring daily rituals, festivals and pilgrims making their special visits. The largest of these include shops and bathing places, as well as the services of guides and fortune tellers. Depending on the time of day and the ceremonial calendar, one may listen to devotional music, hear a religious lecture or watch as the complex process of attending to the deities is carried out by a series of traditional specialists. This variety of experiences allow participants to develop a baseline understanding and firsthand experience of how art has contributed to the complex culture of South India. When developing an educational tour, it is important to cover a variety of activities. In developing the South India itinerary, I made an effort to include both opportunities for learning, such as occasions to personally interact with artists in their workshops, and planned visits to popular tourist attractions. Some sites combine both. 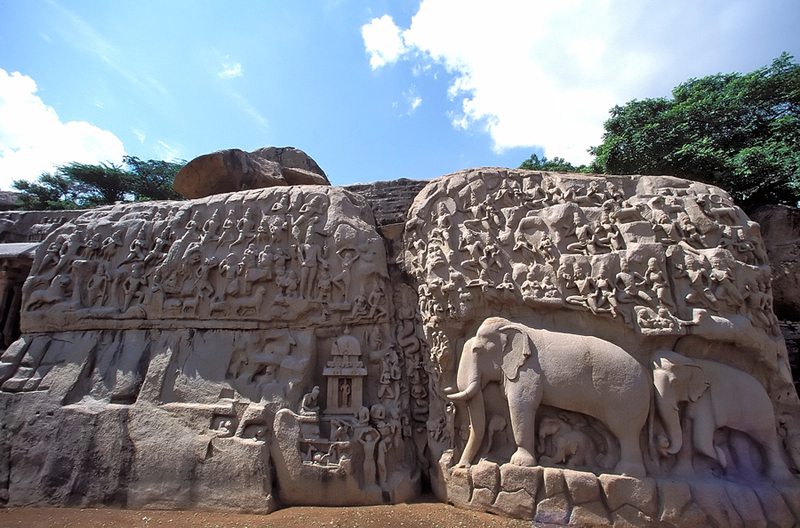 For example, Mamallapuram, an ancient group of sanctuaries along the Coromandel Coast designated as a UNESCO World Heritage Site in 1984 which also includes a stone carving centre, fit in very well with the artisan theme. Mamallapuram is an ancient group of sanctuaries along the Coromandel Coast and is a designated UNESCO World Heritage Site. Looking at attractions through the lens of the tour’s focus can often provide insights beyond the usual tourist scope. While visiting Tanjore, tour participants will consider the impact of its 1000-year-old temple on the state’s most abundant agricultural region. While in Madurai, participants will not only walk through and experience the historic Meenakshi Temple, but also villages and river banks in the area from which artisans continue to bring the sacred material and products used in the elaborate worship there. The South India tour presents a diverse selection of activities including visits to museums, ancient archaeological sites, palaces and performances. Participants will meet local researchers, scholars, curators, artists, performers and merchants. The variety of sites and activities that are covered in the itinerary, including some that are off the beaten track, ensures that the tour presents a diverse look at India that will keep participants engaged and present something of interest for every traveller. While developing the tour, I included a built-in program for free time. An unscheduled afternoon or evening allows participants to process the new information that they are learning, go on an unplanned or optional outing, relax and rest, or engage with others in informal conversation. With time available to spend as they wish, participants may be able to maintain their focus more effectively during the scheduled part of the tour. 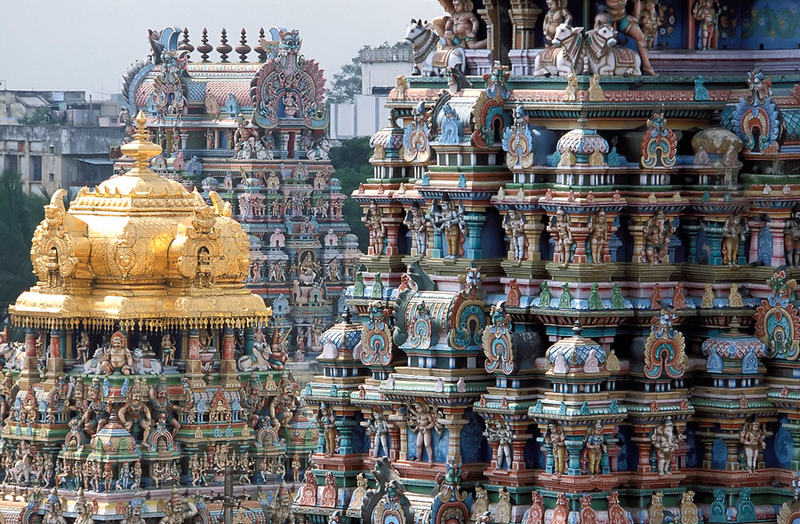 Meenakshi Temple: Looking at tourist attractions through an art history lens can provide additional insights. When working in the heritage field, it is important to always look for new ways in which we can share our research. Focused tours like this educational journey to South India are one such way. Travel is a unique vehicle that allows people to learn through experiencing heritage sites, historical landmarks and cultural practices for themselves. In connecting the public to archaeological sites, this method of learning has a vital role to play in the growing public archaeology and world heritage movements. “Exploring the Arts and Artisans of South India”, led by Dr. Stephen Inglis, starts in Chennai, India on February 15, 2018. All interested travellers are welcome. Learn more at bestway.com. 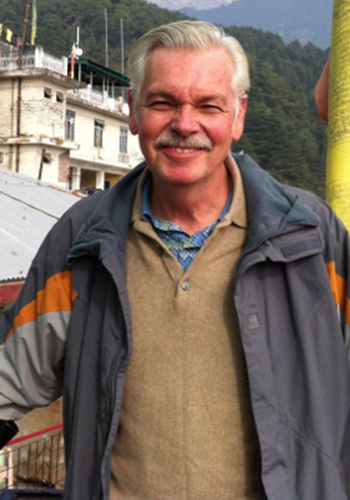 Bio: Dr. Stephen Inglis is an anthropologist who specializes in Indian art. He teaches Asian Art at Carleton University and spent 25 years as the Director General of Canada’s largest research and collections department at the Museum of Civilization (now History). He piloted the first major survey of Indian art in Canada, “India: The Living Arts” in 2000 at the Canadian Museum of Civilization, and co-curated the Art Gallery of Ontario’s “Maharaja: The Splendour of India’s Royal Courts” in 2011. He has been honored for his work by the Canadian Museums Association, the Shastri Indo-Canadian Institute and the President of India.